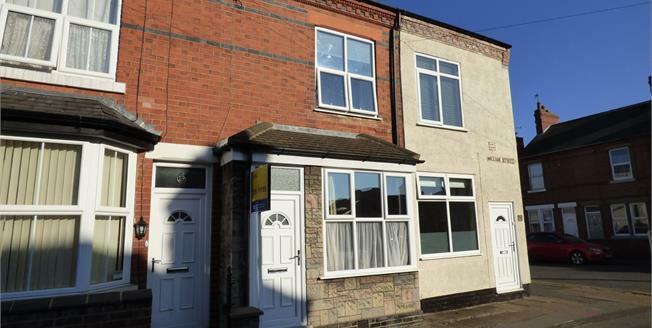 Spacious two bedroom property two spacious reception rooms. The property is well presented throughout with a loft room which is currently being used as a third bedroom. The accommodation briefly comprises of lounge, dining room, kitchen, utility room and ground floor WC. To the first floor there are two double bedrooms and a family bathroom with a four piece suite. Double glazed uPVC window facing the front, radiator, television point, laminate flooring, picture rail, coving, under stairs storage cupboard. Double glazed uPVC window facing the rear, radiator, laminate flooring. Double glazed window to the rear and door to the side, plumbing for washing machine and tumble dryer. Low level WC, wash hand basin, radiator, double glazed window to the rear. Low level WC, double ended bath, double enclosure shower, wall mounted wash basin, double glazed uPVC window facing the rear, single shower. Velux window to the rear, radiator, storage into the eaves. Low maintenance rear garden with a circular patio, rear gate for access and garden shed.